It's been a long time since I've developed anything major and new for the chiffandfipple.com site, and what I'd really like to do is develop a whole new area of listings for tweaked whistles, modelled after the pages for inexpensive, expensive, and low whistles. I'm looking to list all of the major tweaked whistles that are available. I'd want these to all be tweaks by people who do it regularly and have an established track record. I'm not looking for people who have successfully tweaked a Generation here or there, but people who are at it pretty steadily and seriously. It's hard to keep up, so I want to use this thread for us to research this as a community. People who do tweaking may post here, listing the whistles they tweak and prices. (Commercial posting guidelines apply as to content, but this won't count as a monthly commercial post.) People who don't tweak but have purchased others are also invited to alert me, or remind me, of tweaks that are available. This is not a thread to comment on the tweaks. Just to help me compile the basic information. Last edited by Dale on Tue Apr 18, 2006 10:49 pm, edited 2 times in total. You mean you want to make a page of "tweakers," to compliment your "makers" pages? Or are you looking to compile a list of do-it-yourself tweaks? Thanks. I want "tweakers." Not do-it-yourself instructions. I am currently out of the Waltons mellow d whistles that I tweak and sell on ebay. They are on order but my supplier does not know when they will be in. I am working on another tweak for a d whistle and doing some free tweaks also. If you have a whistle that has a sound you do not care for. Send me a PM. I do expect you to pay postage both ways so that I can keep on tweaking whistles for free. Last edited by Tommy on Wed Apr 19, 2006 5:36 pm, edited 1 time in total. OK, sounds like a good plan. Tommy does a fantastic tweak on Walton's whistles. Waltons Little Black Whistles are $20 each. I will do others when asked, but I usually have these lying around. I am trying to get my name out there, but it is not easy. 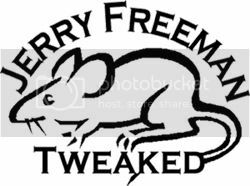 Ok, I'd like to remind you that Jerry Freeman tweaks high D Generation whistles. I have one. It was puchased through a shop, so I take it that he is at it pretty seriously and steadily. I don't know what else he might do. This just happened to come up in a thread recently. The link is to one place that sells them and describes what he does. I'm looking to list all of the major tweaked whistles that are available. I'd want these to all be tweaks by people who do it regularly and have an established track record. Don't you mean an established tweak record? This is really an excellent idea! I´m a amateur tweaker myself, and would be very interesting to read more about what the professional tweakers have to say. I am trying to get my name out there, but it is not easy. The reason of course being that Jerry dominates the market. After being a semi pro saxophone player for years I recently started on the whistle, all to play in a pogues band. The info on 'tweaking' has been real helpful. I have just 'tweaked' 2 Feadog D's, a Generation D & C and have had good results. Just by using poster tack in the chamber the high octave is easier to reach and play and I can now tune them! great info - thanks. Chris, Hull, UK - Bottle of Smoke (playing tunes of the pogues). Welcome to the alternate universe of Chiff and Fipple saxa72! Pogueing is a noble persuit, I must say - and tweakery also. That the mix is working is a tribute to them both!